Be a star at your next corporate or special event. 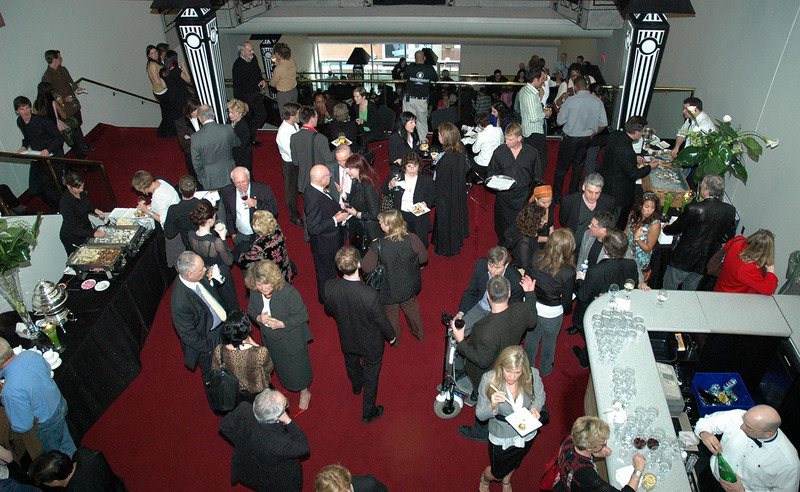 Ideal for annual general meetings, film premieres or dinner on stage, our double-decker theatres and grand lobbies offer a variety of unique spaces. When more than one lounge is rented, the total rental charge will consist of the maximum lounge rate plus $250 per additional lounge. If the event goes beyond the four-hour period, there will be an additional charge of $300 per hour. Rates subject to change without notice. HST of 13 per cent will be applied to all quoted rates. Move-in and move-out days will be charged at the daily rate as applicable. Due to the heritage nature of the building, a damage deposit may be required. This deposit will be returned in full, after the event, provided there has been no excess wear and tear to the building. For more information, contact Kevin Harris at 416-325-4144 or email kevin.harris@heritagetrust.on.ca.